The holiday season is here, and we have the best gifts at Curds and Wine! What is more unique than giving the gift of winemaking or cheesemaking? We have several super special gift packages available. We also have a variety of Holiday Special Winemaking Gift Certificates. Or, buy a ticket to one of our upcoming Cheesemaking Fundamentals classes, see below for more information. You can also purchase gift certificates for dollar amounts, which can be used to sign up for our exclusive 2012 Grapes-to-Glass Hands-on Winemaking course or Basic Winemaking from Fresh Grapes course! Curds and Wine will be open Saturday December 24th from 10 am to 1 pm, CLOSED Sunday December 25th. We will have regular hours the rest of the month, including New Years' eve and New Years' Day. Happy Holidays! Winemaking combo: Purchase an equipment kit + any wine (ingredient) kit + mix-stir + wine thief --> get 10% off when all of these items purchased together; you can also add a floor corker and/or winemaking books, but these are not required to get the combination discount. Cheesemaking combo: Purchase any Cheesemaking book(s) + one or more cheese kits (Mozzarella or hard cheese) --> get 10% off when all of these items purchased together; you can also add any cheese mold(s) and/or a cheese board or cheese tools, but these are not required to get the combination discount. Party pack combo: Purchase a Cheese board + aerating wine pouring spout + wine stopper + wine glass tags (1 pack any style) --> get 10% off when all of these items purchased together; you can also add wine tote of choice and plate clips, but these are not required to get the combination discount. No other items will be discounted except those listed in the combination discounts; cannot be combined with other discounts. Give the Gift of Winemaking this year! We have several very special Winemaking Gift Certificates available for your holiday shopping this year! All specials include the following: Choice of wine kit from list for each Winemaking Special, 30 basic corks, 6-bottle wine tote, and basic label printing for 30 bottles, plus winemaking on site services and 30 new bottles! We carry wine kits from Winexpert and Cellar Craft, and every year these companies release a special limited edition set of wine kits. These kits are made of specially selected grapes from distinct vineyards around the world. There are a limited number of kits available. All 2012 Limited Editions must be pre-ordered by the deadlines noted below. Preorders are for in-store purchase and pick up only. Winexpert 2012 Limited Editions pre-orders are due in at Curds and Wine by Sunday December 4th 2011. Preorders are for in-store purchase and pick up only. Payments are not due until kits are picked up. Cellar Craft 2012 Limited Edition pre-orders must be placed with Curds and Wine by Sunday December 11th. Call us or emai us to reserve your 2012 Limited Editions by the deadlines! In association with San Diego Amateur Winemakers' Society, Curds and Wine will be hosting bi-monthly home winemakers' seminars. These seminars are held every even numbered month on the third Saturday at 1 pm. Seminars for 2011 will be led by Lum Eisenman, a winemaking guru that we are lucky to have in the San Diego area. Lum will share his expertise on various winemaking techniques and issues. This month Lum will discuss "Common Wine Faults." 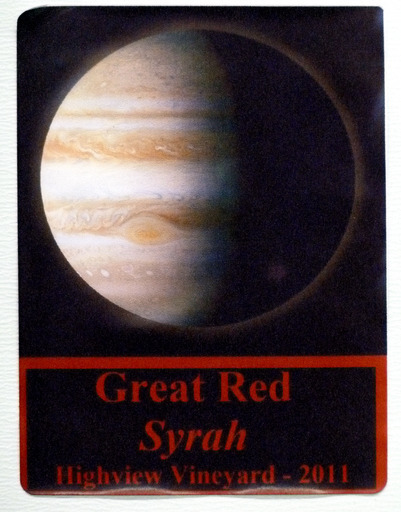 Congratulations to our wine label contest winners! We had votes for many of the great labels on our Big Board at Curds and Wine! 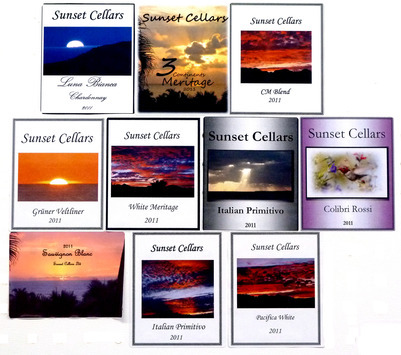 There was a tie for runner-up between Jared Boone's "Great Red" and Tami Auerbach and Tom Spangler's impressive collection of lovely "Sunset Cellars" labels. 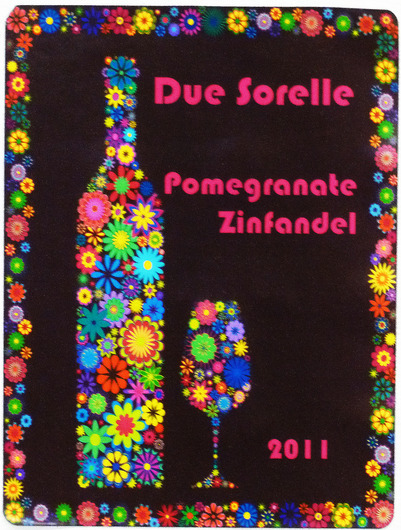 The winner with the most votes is the funky, eye-catching Due Sorelle "Pomegranate Zinfandel" by Vivian Parra and Susanne Hunter. Congratulations to everyone! Best wishes for a Happy and Prosperous 2012, filled with Homemade Wine and Cheese!